Good news to all Apple iPhone users who have been eagerly waiting for the release of Microsoft Office. 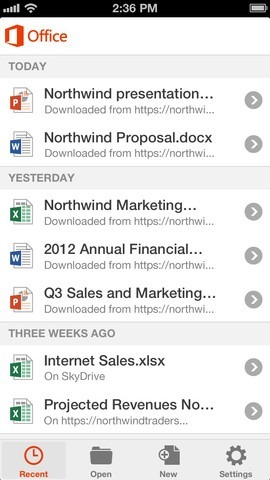 After years of speculations, Microsoft has finally released Office Mobile for Office 365 to iPhone and is now available to install from the iTunes store. As the name suggests, Office Mobile for Office 365 is only available to users who have Office 365 subscriptions. That is, if you don’t have an Office 365 subscription, you won’t be able to use this app. However, you can sign-up for a 30-day trial subscription of Office 365 and then install the app to explore the Office app on your iPhone. The interface of the app is simply good and works great on the iPhone. Upon launching the app, you’ll see options to buy an Office 365 subscription or sign-in if you already have a subscription. 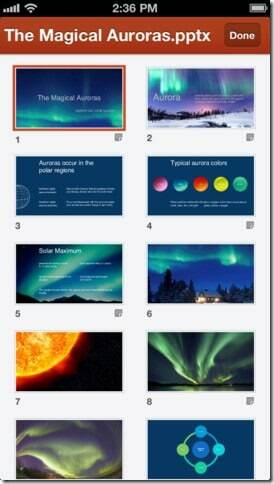 Office Mobile for Office 365 lets you create, open, and edit Word, Excel, and PowerPoint documents. The app also allows you to access documents from your SkyDrive, SkyDrive Pro, and SharePoint account. It even lets you open documents which arrive as email attachments. 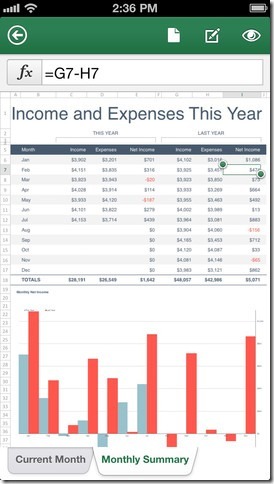 While Microsoft said it has no plans to release the same app for iPad, Microsoft recommends using the free Office Web Apps service on iPad for all basic document editing tasks. Note that you don’t need to be connected to the internet to create fresh Word and Excel documents. 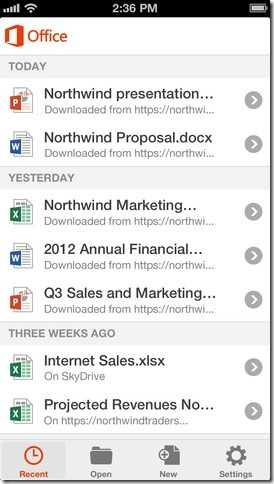 Once a new document is created, Office apps save the file offline and then sync with your OneDrive account when you connect your iPhone to the web. However, the current version of the app doesn’t support creating new PowerPoint document but lets you view and edit this type of Office document. Note that Office Mobile for Office 365 is currently available for users in the U.S and will be available in other locations in coming weeks.